First District Association, or FDA, is a dairy cooperative engaged in the production of whey products, dairy products and cheeses. The cooperative’s headquarters is located in Minnesota, USA. FDA’s history began primarily due to John Brandt’s contributions. Brandt was the president of Litchfield Cooperative Creamery, which at the time, was doing very well in the dairy business. The creamery was said to be popular because of its consistence in providing high quality butter and the excellent service that it was giving to its patrons. Litchfield Creamery was also admired for the way the creamery was being run, which was always efficient. During those times, Litchfield Creamery was considered one of the leading creameries in the state of Minnesota. In November of 1920, the Meeker County Creamery was experiencing problems with pricing, quality and marketing. This led the creamery to form an association in which they agreed to elect John Brandt as president. Under Brandt’s leadership, the association initiated efforts to achieve the best prices for the creamery’s products. This was achieved through cooperative buying, selling and shipping. Most of all, the association stressed the excellent quality of its products. In March of 1921, the association incorporated and changed its name to Minnesota Cooperative Creameries Association. Under this new Minnesota cooperative, the Meeker County Creamery became the first cooperative to be included in unit #1. Two years later, the Minnesota cooperative unanimously agreed to elect John Brandt as president. Under Brandt’s leadership, the Minnesota cooperative began to set strict specifications to monitor the uniformity and quality of the cooperative’s main product, which was the sweet cream butter. The cooperative then began direct selling of the product to consumers, which also allowed it to educate consumers about the high quality of the product. This type of marketing plan became a success and soon Minnesota Cooperative’s unit #1 quickly grew to 24 creameries. These 24 creameries became collectively known as the First District Association. At a time when a number of cooperatives broke up because of pressure from many factors, including giant private creameries, the Minnesota cooperative held and succeeded in staying together. 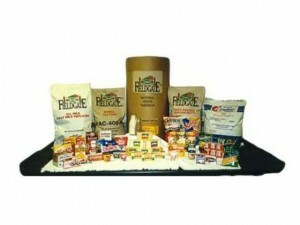 After a number of years, First District Association then began selling its own retail products under the Fieldgate brand.